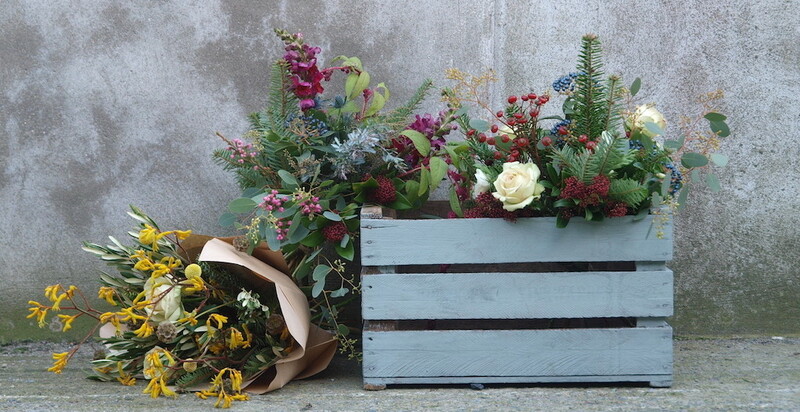 Boy Bloom creates wreaths, handties, jam jars and pretty much anything else you could want us to make! We think our products speak for themselves, so come down and have a look/smell. We believe in producing our product with the least harmful impact possible, and hence for the season have decided to minimise our use of toxic floral foam which pollutes our waterways. Instead, we’ve opted to use Wicklow grown birch to hand build our wreath bases. In conjunction with this, we’ve also opted to try to use as much Irish grown greenery as possible, the vast majority coming from a Tralee farm, or foraged by ourselves. Come down and ask us about what we do, and if not, call, email, send a messenger pigeon. Just let us know what you want and we’ll do our best to make it happen.